A gate, a speed bump, or just a roadside distraction?? Ah, there’s nothing like writer’s block to stifle the winds of creativity on a blog. I have a potentially great post about The Instructor, Learning, & Memory that I can’t seem to get out of low gear. Strangely enough, it’s serving as a catalyst for this missive. It’s not just writer’s block, although that does enter into it. It’s also about the energies of the day. You can mentally psych yourself up for certain things based on your calendar, but simple postponements can easily put paid to those plans. I’ve had meetings rescheduled over the last 2 days (including one already postponed from Friday) that managed to sap a lot of the energy away. Some of that seems to extend into my writing. I really am trying to write for me and to get things out of my head and into some kind of recorded form, but competing thoughts, changes in momentum, and other distractions make it tough to write with any degree of focus. Is it discipline? Habit? Dedication? Or is it my style that needs work? (am I too wordy for my own good?) I dunno. Too many questions and no easy answers. I wonder what my more prolific writing and blogging colleagues will say about this? After five straight days dissecting and evaluating a select group of e-learning projects developed by external vendors, I felt a little bit like I was playing Quincy, M.E. That’s honestly what the last week has felt like, because it was long, invasive, messy, and clinical. Yes, I know I’m dating myself somewhat, but CSI didn’t really work as a comparison because there’s so much “gee whiz” science involved there. Quincy, on the other hand, relied on instinct, experience, intuition, and good, old-fashioned detective work. I’ll preface my comments by saying that this is not an indictment of the process or the players involved, rather, it’s a reflective summary of some things I wanted to share about how these kinds of projects can work more effectively down the road. Every so often, we have to go outside the organization to get some development work done, and we’re always asked to do some kind of review. Well, with three particularly challenging projects, our review turned into a real post-mortem, and my old TV memories from the formative years came to mind. In no particular order, here are the things that I learned from this process, thanks to ol’ Quince. 1. If we’re doing an autopsy we have more questions than answers. If you’re finding that the review process is turning into an autopsy, you’ve likely missed a few key indicators on “cause of death” of your project. To my way of thinking, there’s no such thing as “death from natural causes” on an e-learning project. What is surprising is that “foul play” could be a contributor. What’s more likely in many cases is a bit of a blanket crime I’ll call “educational malpractice” The line between that and “foul play” is that there’s usually no malice in “malpractice”. What does this mean for the L&D professional? You really need to have the proverbial ducks in a row when embarking on a project. While just as important for in-house efforts, you’d better make sure you have a very clear vision communicated to your external developer and you need to know what the project plan is actually going to look like. In Air Force terms, we like to avoid trying to fly the airplane while it’s still being built. For corporate folks, it may mean having to answer some very uncomfortable questions about the project, its aims, and the amount of money thrown at it…especially if you wind up either pulling the plug or getting something that doesn’t work for you, the learners, and the organization. As Nick Laycock recently pointed out (rightly), a post-mortem is likely a self-fulfilling prophecy and has a negative connotation. 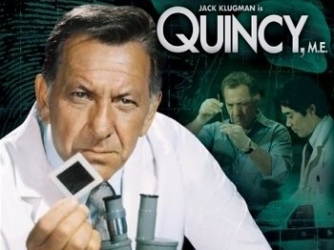 Quincy was portrayed as someone who relied as much on deductive reasoning as he did on his microscope and scalpel. More importantly, he also spent time outside the lab asking questions and putting a big picture together. You will likely spend a lot of time checking and re-checking decisions and outcomes. As much as you’ll rely on the “physical” evidence (I guess we can include email trails there). Don’t be pushed into completing findings by a certain date if you don’t have all the facts. In short, don’t give up on a review (or fail to conduct one) because there’s always something to learn. On a more positive note, humans are notorious for failing to acknowledge what they have done correctly (with the exception of those possessing an overabundance of hubris), so why not take a look at the things that went well and strive to repeat them? Try as some might to make a murder look like a suicide, there are some tell-tale signs that a good Examiner can always determine (not all of them physical). The L&D professional has to rely on their instincts as well as the evidence, and they have to look at a lot of contributing factors in the project; everything from project methodology, through communications, and even a critical evaluation of their own efforts. For all you know, a decision made at your end that seemed innocuous at the time might have been the proverbial butterfly that triggered the hurricane later. Other things that get in the way are repeated time and again from project management professionals: lack of sponsorship, “scope creep”, lack of flexibility, poor risk assessment, poor communications, and so on. I have been witness to (and occasionally a contributor to) some of the previous issues on projects. One of Quincy’s skills was his ability to sort through multiple traumas and figure out which one was fatal. This distinction was critical when more than one wound presented itself. Similarly, I cannot think of a project that has been error-free. In fact, there are times when I think Murphy was a project manager. Errors, on their own, aren’t necessarily bad things. They become bad when they are covered up, unrecognized, or dismissed. So, what do we do? First, let’s acknowledge that errors happen. A well-run project will probably have some Risk Analysis done in the planning stage and can serve as a guide for dealing with contingencies. Next, if errors happen, don’t hide them. Acknowledge them. Be transparent. Examine them and take a good look at the potential impact, and adjust as needed. Embrace them as chances to learn. Radical? Sure it is! But think about the gains received through honesty versus the costs of deceit? I know I’d have greater respect for a vendor who openly acknowledges and error AND has a plan to address it, as opposed to the one who has been providing sunshine & roses updates when they really don’t reflect what’s going on in the background. Can you imagine if every piece of evidence gathered for a case had to stand on its own with no linkage to similar happenings, or other revelations? Unthinkable in police work or medicine, but seems to be a fact of life for organizations who have multiple projects on the go. Part of your project plan should include a trek through your own archive of projects, findings, and lessons learned. By starting out with this “let’s repeat success” mindset, you’re more likely to work out a stronger plan and set of goals than you would if you ignored the potential learning from previous projects. 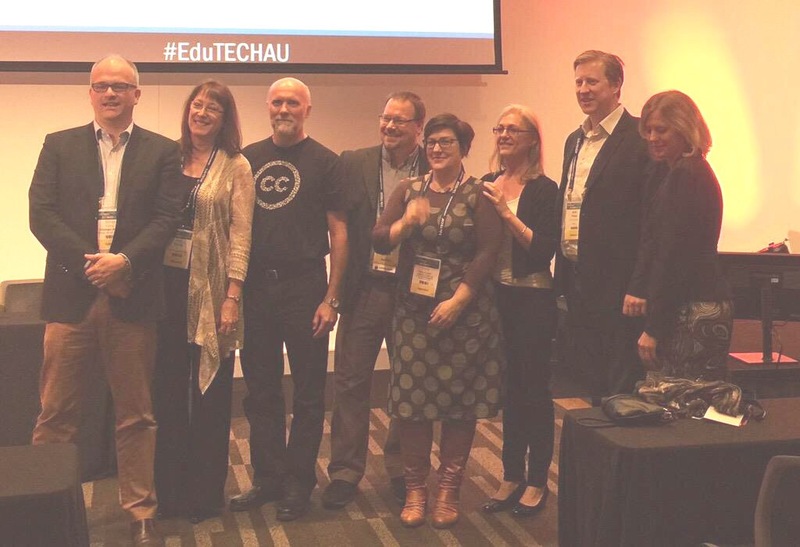 With the ubiquitous nature of social media technologies and the growth of Personal Learning and Personal Performance networks (thanks Mark Britz) we can pose questions, share lessons learned, and collectively improve our learning projects from concept through implementation. Besides…we’re L&D professionals. It’s in our nature to learn. We spend a lot of time and energy promoting learning’s virtues but every so often (and I know I’m not immune to this) we’re blinded to our own need to acknowledge certain lessons. To borrow and re-purpose a phrase, “Educator, teach thyself“.